So you’ve scoured the web for some comprehensive wine cooler reviews or you’ve perhaps even physically visited some wine cooler stockists with the view of finally buying yourself (and your wines) a good cooler. You’ve narrowed down your requirements and preferences taking into account the temperature range, bottle capacity, design, and perhaps most importantly, cost. 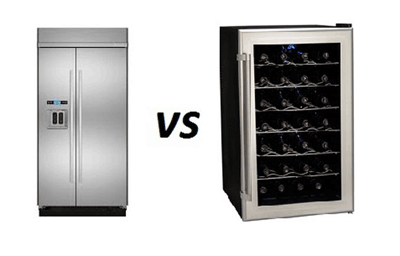 While all of these considerations will naturally dictate which wine cooler you ultimately settle on, what you might have noticed above everything else is the constant internal debate about whether to get a single-zone or dual-zone cooler. 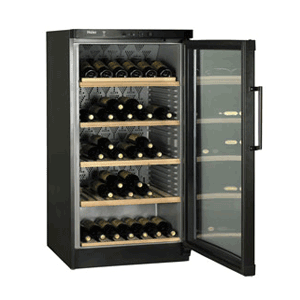 Wine coolers from all manufacturers will typically have different options with regards to the temperature zones, with single-zone cooling and dual-zone cooling making up the main options. We’ll stick with these two as the main options and disregard those coolers with more than two cooling zones, quite simply because those coolers with more than two cooling zones are usually custom-built ones to be specifically used by commercial wine dealers. So for the purpose of our discussion here at WineCoolerLab, we will explore whether to go single-zone or dual-zone cooling? 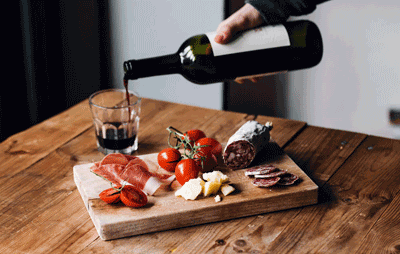 If you regularly enjoy pulling a bottle out of the cooler for immediate enjoyment, you’d ideally love to be able to just pour out the wine and enjoy (perhaps after a very quick decanting, if necessary). In this case whether or not to go for a single-zone or dual-zone cooler still requires a number of other considerations, like whether or not you have different varieties of wines in your collection (reds, whites or both), explored below. Otherwise, dual-zone coolers are better suited for those who drink their wines regularly, while single zone coolers work out cheaper (but not necessarily better) if your cooler’s primary purpose is to preserve your wines. If you only have one variety (like a red only or a white only), then a single-zone cooler will do just fine because then it means you can store all your bottles at their optimal chilling or storage temperature. 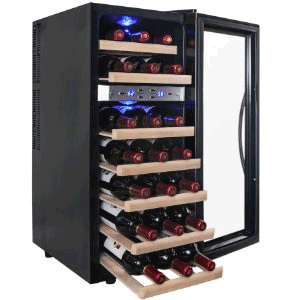 Otherwise, if you have different types of wines which you want to keep chilled at optimal decanting temperatures, a dual-zone cooler is in order. The different types of wines in existence (particularly reds and whites) form the basis of why dual-zone cooler exist. With this in mind, it perhaps ultimately comes down to whether or not you love both types of wines or just one variety. Do You Have Any Collectible Bottles and Vintages? Pretty much the same logic applies here; a single zone cooler with a temperature range that encompasses the 55/56 degree Fahrenheit mark is the borderline max for whites and borderline minimum for reds, so the decision to go for a single-zone cooler would then rest on other considerations (like the price of the cooler). 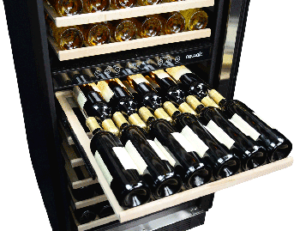 Otherwise, a dual-zone cooler can also in principle be used to store just one type of wine at the same temperature setting in both cooling compartments. You’d then definitely go for a dual-zone cooler if you expressly wanted to store bottles of different varieties at their optimal storage temperatures. Finally, at any given time a dual-zone cooler can operate exactly like a single-zone cooler. In other words, if you set the temperatures in both cooling zones to the same value, you effectively have a single-zone cooler. The difference would then be the option you have to switch back to dual-zone functionality if and when the need arises. This comes with slightly less space though (if you’d compare a dual-zone cooler with a single-zone cooler of the same size), higher power consumption and a slightly less refined, but more “functional” appearance.